Thank you for connecting to the PDA Irish Chapter page. 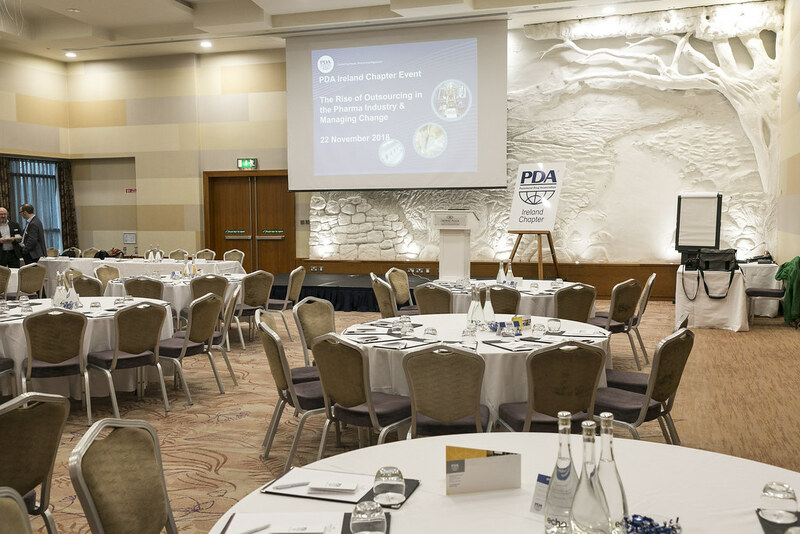 As a registered non-profit affiliate of PDA International; our aim is to serve as a networking forum for manufacturers, young professionals, academia and service providers engaged in the pharmaceutical/ biopharmaceutical industry in Ireland. Provide events and processes to facilitate sharing of best practices, technologies and regulations to meet the tactical and strategic needs of you; our members. Facilitate collaboration with regulators and other representative bodies to achieve alignment and cohesiveness across the industry. Provide a great networking opportunity for you; our members to connect with like-minded professionals, subject matter experts and regulators. Our success depends on the willingness of our volunteers to share experiences, plan & organise events, engage in PDA interest groups or contribute to future technical reports. Remember we all face similar opportunities and challenges; our chapter network can strengthen our ability to face these with confidence. 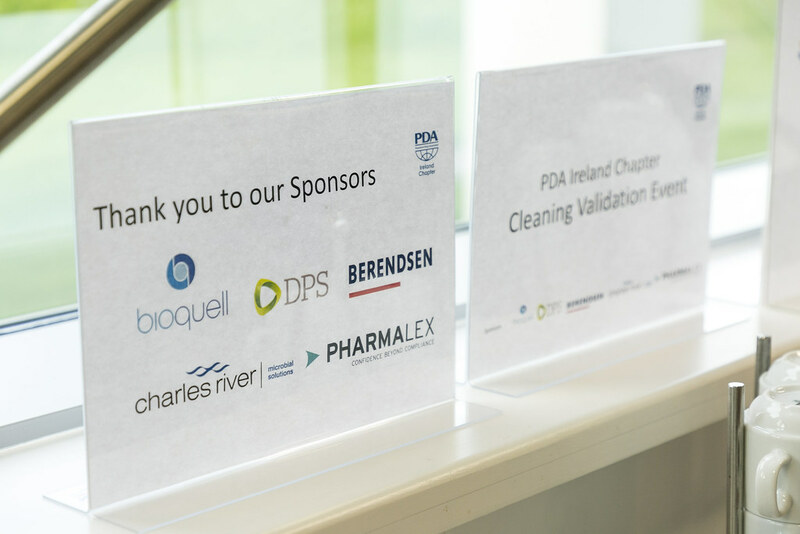 On October 4th, over 90 registered delegates attended the PDA Ireland Chapter “Advances in Aseptic processing with a focus on Media Fill simulations”. This event was hosted at the Clayton Hotel Dublin Airport. This event was emceed by Catherine McHugh, PAREXEL Consulting. “Expectations for an Aseptic Manufacturing Qualification Program” presented by Valerie Mulholland, GMP Services. “The Future of Aseptic Processing” presented by Marco Delgado Rueda, PAREXEL Consulting. The topics presented stimulated a significant amount of discussion and the outcome of the discussions positively reached a wide audience. Along with Aiofe Clancy, I was also granted the opportunity to attend the Parenteral Drug Association Europe (PDA EU) 3rd Annual Meeting. Initially, I was nervous and unsure what to expect from my first PDA Meeting. However, my nerves were soon replaced with excitement when I meet the PDA Ireland Chapter officers and PDA EU staff members. "Why Better Human Understanding is the Only Future" presented by Craig Scott, Greensand. The presentation highlighted the importance of prioritizing the human element of resolving the customers’ needs above all other variables. During the lunch breaks, I was grateful to connect with professionals in the industry who provided more insight on their career experiences. The topics I learned at the EU Annual Meeting will be applied to my future career in Microbiology. I intend to focus my career within the Disease, Diagnostics, and Immunology sector. I would highly recommend other university students to apply to the next Student Bursary program hosted by the PDA Ireland Chapter and PDA Europe staff members. This June, I was fortunate enough to be awarded a Student Bursary from the Parenteral Drug Association Irish Chapter. The Bursary Award provided me with an opportunity to attend the PDA 3rd Annual Meeting in Berlin. I was extremely excited to attend the event and learn about the current demands within the global healthcare industry and advanced technologies and opportunities within the pharmaceutical industry. I was welcomed warmly on the first day of the conference by the members of the Irish Chapter. They introduced me to their colleagues and other conference attendees, and I learned about the roles which they assumed in their respective companies. The theme of the meeting, Global Healthcare of the Present and Future, was of great interest to me, given my background in Pharmacy. The meeting consisted of presentations from regulatory, industry and technology representatives from around the world. Since a lot of my experience comes from patient-facing roles, the talks on Patient Perspectives, personalised medicines and patient centricity appealed to me greatly. The Young Professionals Session of Day 2 was definitely a highlight of the meeting. Cristoph Marschall, who also completed an undergraduate degree in Pharmacy, presented on Protein Powder Suspensions and their viability as an alternative to conventional formulations. Cristoph spoke about problems associated with proteins due to their potential to aggregate, causing conformational changes. He discussed the issue of viscosity with non-aqueous formulations, which can present challenges during the injection process. I could really connect with this topic, having completed relevant modules during my time in Trinity College. Finally, the Multi Organ Chip Technologies presentation by Reyk Horland was very inspiring. It was exciting to hear about the ways in which safety and efficacy data can be generated much earlier in the drug development timeline. To compliment the fantastic presentations at the meeting, the networking event on the first night afforded me with a memorable tour of Berlin via the channels of the city. We embarked on a cruise through the city - a very novel way to see the sights. This is a memory I will never forget. I would like to extend my sincere thanks to PDA Ireland for awarding me the Student Bursary and providing me the amazing opportunity to attend the European Annual Meeting. I learned so much, met so many incredible people, networked and found career inspiration. In partnership with PDA Europe, we have continued our commitment to provide educational development opportunities for students by producing our 2nd Bursary. This year, we accepted applications to third level students (undergraduate and postgraduate). The bursary included a free ticket to the PDA Annual Meeting on 26 - 27 June 2018 in Berlin and 800 euro towards travel expenses and accommodation. We are proud to announce the names of our 2018 Bursary recipients: Shane Murphy and Aoife Clancy. 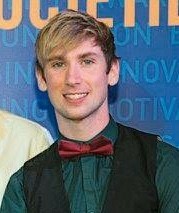 Shane Murphy is currently studying Bioanalysis at the Institute of Technology in Tallaght (Dublin), Ireland. In September, Shane will return to college to complete his Bachelor Honours Degree. "I entered the bursary as I wanted to expand my knowledge of the Pharmaceutical industry, and see first hand the new innovative ideas and techniques used today. "The bursary also provides young scientists like myself a chance to network and network with like-minded individuals. I am in currently living in Germany for a research internship studying Bone Regeneration and Extracellular vesicles as diagnostic markers in Leipzig, East Germany. I'm really looking forward to traveling to Berlin and attending the PDA conference. 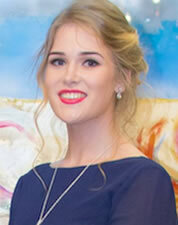 Aoife Clancy recently completed her final year exams in Trinity College Dublin and will graduate with a First Class Honours B.Sc. (Pharmacy) degree. Aoife is currently working with a summer research internship position at Trinity and will commence her Masters in Pharmacy placement in St. James's Hospital in September. Over the last four years, I have spent my time gaining experience in both the hospital and community pharmacy settings, enhancing my clinical knowledge. My time in hospital pharmacy heightened my interest in biological medicines, sterile manufacturing, and continuity of supply (following the pipericillin-tazobactam shortage of 2016). PDA Ireland & Sanofi Waterford - Quality Culture from Elizabeth Hunt on Vimeo. Advances in Aseptic Processing with a focus on Media Fill Simuations from Elizabeth Hunt on Vimeo. Maximize your company's exposure to key decision-makers in the pharmaceutical and Bio-pharmaceutical industries as an exhibitor and/or sponsor at PDA Ireland events. Why did you become involved in PDA Ireland? I had attended many PDA events over the years because they were topical, of great value & provided an excellent mechanism for networking. Through engagement with active PDA members within Eli Lilly & Company and externally, I recognised the significant benefits that PDA brings to all sectors of the life sciences. PDA offers an incredible platform for the industry at a local chapter level and globally in enabling an industry voice to help to shape the future of science and regulation. The Irish chapter members have great energy, so it is a pleasure to be part of such an engaging team. Coupled with being a PDA Ireland chapter member, I am also a member of the PDA Global Regulatory Affairs & Quality Advisory Board (RAQAB). The RAQAB mission is to serve the PDA membership by influencing scientific-based regulations and providing interpretation on quality and regulatory issues affecting development, manufacturing, and control of healthcare products. I am very excited about the future in the pharmaceutical business and the vital role that PDA will continue to play into Pharma 4.0 and beyond! What led you to volunteer with PDA Ireland? To connect externally and to have a voice in potential future changes affecting science and regulation business. The annual PDA events stem from what the Irish PDA members/conference attendees want to hear/learn more about/influence. PDA offers that unique industry-regulatory platform. What significant changes have you seen in your area of expertise? I have worked in Quality Assurance (QA) roles for the majority of my professional career. I am a Qualified Person (QP) supporting Biotech operations. The role of QA has changed from one of 'Q by Rule to Q by Example' (police versus a valued partner). Robust Quality Management Systems have revolutionised QA enabling connectivity globally and facilitating knowledge management. The advent of US EU MRA implementation and the active collaboration in 'Post Approval Change' initiatives are also bringing promise to the future in science and regulatory. Never assume! Being in QA this nugget of information has stood to me over time! Who would you choose to switch places with for a day? Welcome back and I hope you all had a great start to 2019. I can’t believe its six months since our first newsletter. 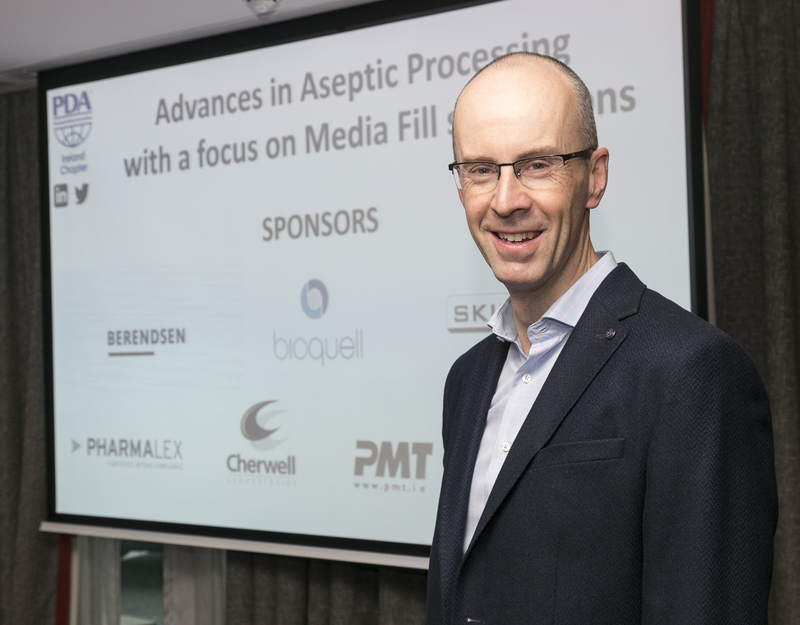 The first was ‘ Aseptic Processing with a focus on Media Fill Simulations’ – case studies & discussion” on 04th October in the Clayton Hotel, Dublin Airport. This event was booked to capacity and certainly didn’t disappoint. It had a great diversity of speakers providing excellent perspectives from within and beyond our industry in the form of Tony Gallagher who shared his perspective on training and assessing competency of surgeons – I still haven’t got the list of which surgeons passed his assessments!! Then there was our “Rise of outsourcing in the Pharma Industry & managing change activities” on 22nd November in the Crowne Plaza Hotel, Blanchardstown, Dublin. This event was combined with our AGM and included a number of break-out sessions which facilitated great sharing, networking and discussion as did the music and drinks reception afterwards. The third event was our Quality Culture Young Professionals event hosted by Sanofi in Waterford. Key note speaker for this event was Dr Katrin Winkler who gave an excellent presentation on “How Culture and Behaviour drive an organisation”. Two of our YP members (the two Shanes!!) facilitated discussions sharing their career experiences and benefits of membership. Planning is well underway for 2019 with three events in the works in the first half of the year (do visit our chapter page at https://www.pda.org/chapters/europe/ireland or our LinkedIn page for further details). These events have been selected based on your feedback at the AGM in November. The first event EU GMP Annex 1 will be held on 3rd May in the Crowne Plaza Hotel, Blanchardstown, Dublin. Annex 1 continues to be a key topic of discussion for our industry and the presentations/ discussion topics in this event are centred around responses from a questionnaire circulated to you; our members earlier this year. Ciara Turley from the HPRA will be a keynote speaker at this event. The second is “Implementation strategies for QRM” in the Radisson in Little Island, Cork. 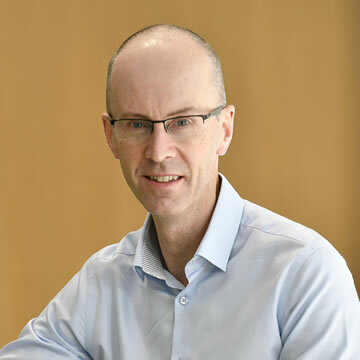 Kevin O’Donnell from the HPRA is our keynote speaker and a number of industry speakers will be sharing their implementation experiences followed by a panel discussion. Following on the success of the Sanofi YP event, a similar event is planned in MSD Carlow in May. Our communication & marketing workstream driven by Elizabeth continues to exceed our expectations. This has led to continued engagement by sponsors allowing us to further invest and improve our events with a number of new sponsors coming on-board for 2019. Additionally, we have seen very significant growth in our LinkedIn and Twitter presence. None of the above would be possible without our dedicated committee/ event organising teams who continue to raise the bar to ensure we meet the expectations of our members, attendees and sponsors. The Salters Institute hosted The Salters festival to promote the appreciation of chemistry and related sciences among adolescent students. The initiative also showcases careers in the chemical and allied industries and teaching field. On the 21st of April, students from 20 schools from the province of Leinster enjoyed an exciting day of scientific exploration at the Salters' Festival of Chemistry, at the Salters Institute, School of Chemistry. Teams of four 11-13 year-olds represented their school in three chemistry focused experiments and challenges. The students competed in their first challenge called The Salters Challenge The Blot Strokes Again to challenge their analytical chemistry skills. Next, the students were tasked to prepare a chemical recipe for composing seven different colors called the University Challenge. The day ended with an interactive Flashers and Bangs lecture. On April 25th over 100 people attended the PDA Cleaning Validation event in NIBRT to hear about the latest developments in relation to cleaning validation. Present on the day were representatives from the pharmaceutical industry and experts in the latest cleaning validation advances for pharmaceutical production. Case studies were presented with practical information on risk and science based approaches that showcase effective implementation on cleaning processes. The day also included a practical demonstration at NIBRT associated with equipment cleaning. On April 14th 2018, PDA Ireland exhibited at the annual Careers in BioPharma event in NIBRT. Over 500 attendees came along on the day and had the opportunity to meet with PDA Ireland, and blue chip employers from the rapidly expanding Biopharma Industry in Ireland. The Irish biopharma industry continues to grow with 20 biologics manufacturing sites and $10 billion in capital investment in the last decade, the sector is forecast to add 8,400 new jobs up to 2020. Those who want to work within the biopharma sphere had an great opportunity to talk to people who work for some of major facilities. PDA is delighted to have exhibited at this event and meet with students and job seekers. The PDA Ireland chapter hosted their first event for Young Professionals (YP’s) in Dublin’s Hilton Hotel Kilmainham on 22 March 2018. 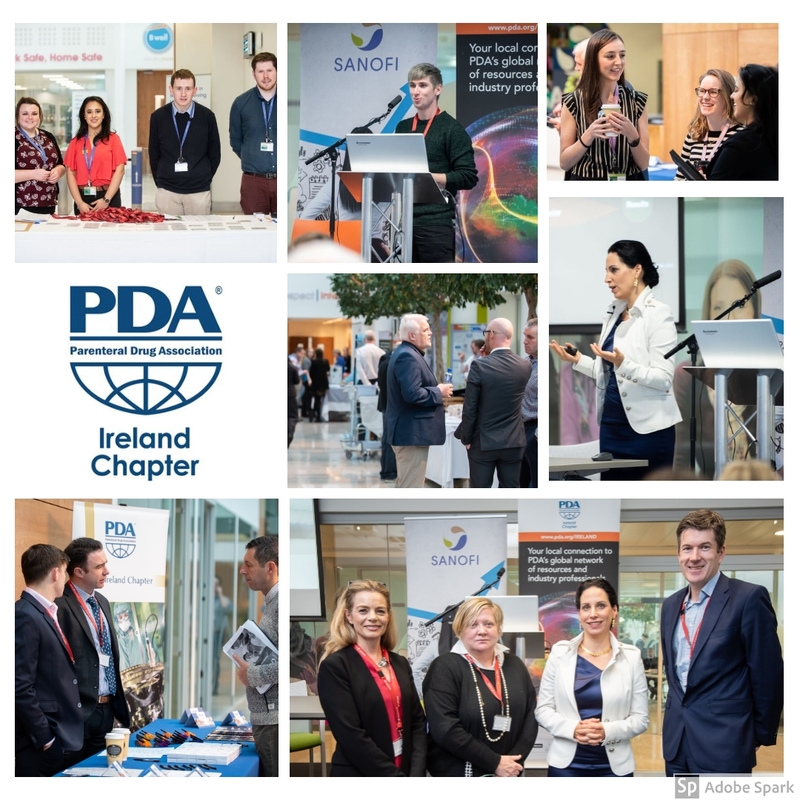 The event was designed as an opportunity for students and recent graduates to network with PDA members to learn more about the opportunities in the pharmaceutical business in Ireland and about the PDA. Students from each of the third level colleges in the Dublin area attended as well as graduates from Amgen, Pfizer, BMS, and Allergan. Shane Costigan who was the recipient of the 2017 bursary to the European PDA conference presented on his PDA journey over the past 12 months. The attendees provided positive feedback on the event and we hope to arrange similar events in other parts of the country later in the year.